The Uplands at Riverview is located on the very southwest edge of Edmonton, where the scenic outdoors meets urban convenience. Maskêkosihk Trail & 199 Street, Edmonton, AB. Visit the Devra Streetscape, located in the community of The Uplands in Souththwest Edmonton. 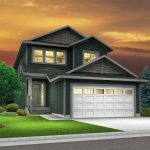 Come visit the Kalliope located in the community of The Uplands in Souththwest Edmonton. Visit the Mira streetscape, located in the community of The Uplands in Souththwest Edmonton.